On the heels of the 2018 midterms, many of us are relieved for the Thanksgiving holiday, when we practice gratitude and find respite in our family and friends. Creating community over food creates a sense of safety, trust, and resilience in our lives. Yet, in the name of truth, mercy, justice, and peace, it’s also essential that we reflect on the history of this holiday and how it continues to shape our relationships with our Indigenous communities. The first Thanksgiving is typically depicted as white settlers coming together with Native peoples – this is an oversimplified narrative. It’s also a narrative that makes it easy for non-Native people, especially white people, to overlook the atrocities committed against Native communities, even ones unfolding today. While we celebrate Thanksgiving, it’s important to recognize that we live among continually marginalized Indigenous communities who are excluded from our tables, and consider ways in which we can practice true generosity and reparations to lift up Native communities. President Lincoln first declared a Thanksgiving holiday in 1863 as a celebration of Civil War victories in Gettysburg and Vicksburg, Mississippi. It was then that white New Englanders applied their retrospective lens on the feast gathering of 1621 at the end of the first settlers’ harvest and called it the first Thanksgiving. This feast day was indeed remarkable in that it brought white settlers and Indigenous people together over a meal, but this is not to say that the relationship was easy. It’s possible that the Wampanoag people weren’t explicitly invited. It's also possible that the holiday was in celebration of violence against Indigenous peoples; another account marks the first Thanksgiving in 1637, after the massacre of the Pequot people at the end of the Pequot War. Minnesotans have much to account for. This accountability is slow, but it is coming. Perhaps the biggest atrocities stem from the hanging of the Dakota 38. After 38 Dakota men were hanged for alleged crimes against white settlers on December 26, 1862, their bodies were cut down and moved to a mass grave. W.W. Mayo, father of the founders of the Mayo Clinic, robbed the mass grave for a cadaver for his sons’ medical studies. Mayo stole the body of Dakota leader Marpiya te najin, dissected his body with colleagues and kept his bones in a kettle; the skeleton was displayed at the Mayo Clinic before being placed in storage and essentially forgotten. But in September 2018, a representative of the Mayo Clinic presented a letter of apology to Marpiya te najin’s descendants for the desecration of their ancestor’s body and established a scholarship in his name. This apology and gesture of financial reparations was part of a dedication ceremony for the restoration of the original Dakota name of Minneapolis’ largest lake, Bde Maka Ska. These apologies, these gestures, have meaning. By dismantling disrespectful memorials, by restoring the rightful names of the markers of the stolen land we live on, we honor the dignity of the people whose lives were lost to genocide, and we begin to balance the narrative that’s been whitewashed for the comfort of the dominant white culture. This Thanksgiving, let’s not only practice gratitude for what we have: let’s consider the ongoing historical trauma and injustices against Indigenous communities. Let’s consider the Franklin/Hiawatha Encampment and understand the need for safety in community that the camp represents. Let’s reflect on the ways in which American culture and structures ignore Native communities and how we can work together to build peace. What can we do to help restore safety? What can we do to address the ongoing need for reparations? We can ask Indigenous communities: What do they want to restore safety for their families? What do they want to repair the harm done to their communities? Let’s give them the resources they ask for and let them create change with wisdom, ingenuity, and brilliance. The Franklin/Hiawatha Encampment website gives an informative history of the encampment’s land and provides news and updates about the camp. MN Indian Women’s Resource Center (MIWRC) uses funds to provide families and individuals with basic clothes and household goods. Native American Community Clinic (NACC) provides medical-related services to residents of the camp. Indigenous Peoples Task Force (IPTF). Donations are used for HIV, HCV and other testing/screening of residents at the camp. American Indian Community Development Corporation. Donations will help secure permanent housing for residents of the camp. American Indian OIC provides job training to Native residents. Natives Against Heroin uses donated funds to provide daily frontline support to the residents of the encampment. The Ogitchidakwe Council fiscal agent of Mending The Sacred Hoop uses funds to create a circle of safety to end sexual violence against Native women. As we enter the season of gratitude and giving, let’s shower our Native sisters and brothers with financial resources so they can use their talents to build peace within their spheres of influence. And together, we will transform our community peace by peace. This is peacebuilding, and it is worth being grateful for. 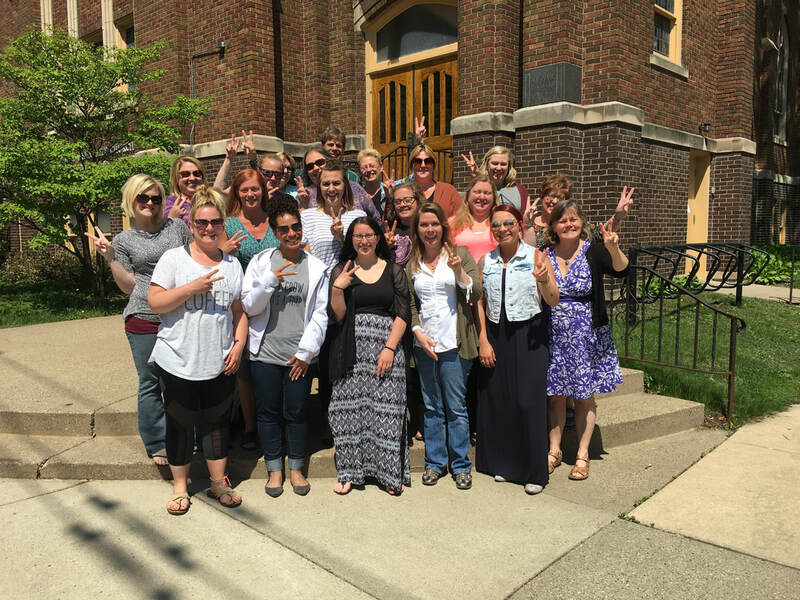 We are pleased to introduce our most recent Strategies for Trauma Awareness and Resilience – STAR Training graduates! We now have a total of 379 STAR graduates with another 1,820 graduates from our single day STAR-Lite Training, Restorative Justice 101 Training, Resilience and Self-Care Training, and custom trauma-informed, resilience-oriented, and restorative justice-focused trainings since 2010. Our October 2018 STAR grads hail from California, Indiana, Wisconsin, South Dakota, South Sudan, and Canada as well as Minnesota. We are especially grateful to the Resilience in Communities After Stress & Trauma (ReCAST) Minneapolis for providing funding for 11 of our October STAR graduates. In 2019, we will again be sponsoring six STAR-Lite trainings in Dakota, Ramsey, and Washington Counties, with funding from The Saint Paul Foundation and the F. R. Bigelow Foundation. If you know organizations and community groups from these counties who serve marginalized communities, please introduce them to us as potential East Metro Community Partners at info@mnpeace.org. Our Peacebuilding graduates are the energized, empowered critical yeast to make Minnesota the Peacebuilding Power State for All! Most people would agree there is no shortage of need for Peacebuilding in our lives and communities. All of us can do Peacebuilding within our spheres of influence. Not sure how? Come join us. Together, we are transforming our communities peace by peace. ​Monday, October 8, 2018 is Indigenous People’s Day. In honor of this important day of remembrance, the focus of this month’s MN Peacebuilding Film on Tuesday, October 23 at the Birchwood Café is American Holocaust: When It’s All Over, I’ll Still Be Indian. This is a powerful, thought-provoking documentary film on the historical trauma of America’s Indigenous People. All of us need to learn this history, and particularly those of us who have benefited from the subjugation of Native American Indians and the bounty of this land that was stolen from their foremothers and forefathers. Knowing this history, we will be better able to follow the leadership of our Native American sisters and brothers with truth, mercy, justice, and peace. ​At all of Peacebuilding’s films, trainings, and events, we seek not only to educate but also to instigate positive, productive, nonviolent social change with trauma-informed, resilience-oriented, and restorative justice philosophy, principles, and practices. 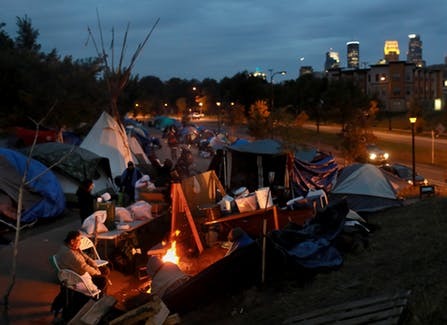 Right now, one specific way you can make a positive difference in the lives of many is to check out the website dedicated to the Franklin Hiawatha Encampment in Minneapolis and donate in the spirit of reparations to the Indigenous organizations that are leading the way. Together, we are transforming our communities peace by peace. For our part, we’re hosting a couple of events during the 10 Days Free From Violence, including our monthly MN Peacebuilding Film Series, Tuesday, September25, 7-9pm. We’ll be screening "Our Spirits Don't Speak English: Indian Boarding School", a film that offers a Native American perspective on Indian Boarding Schools. Check out all the great events at https://twincitiesnonviolent.org/, and to find out more you can follow us on Facebook. Together, we are transforming our communities peace by peace! ​Believe it or not, Minnesota is on the forefront of the Restorative Justice (RJ) movement in the USA. For those unfamiliar with Restorative Justice, it is an alternative to retributive justice that is the basis of our criminal legal system. While retributive justice’s central focus is on offenders ‘getting what they deserve’ based on a set of laws, restorative justice’s central focus is on empowering victims by authentically addressing and satisfying their needs that result from harm. Restorative justice also provides an opportunity for offenders who want to take responsibility for repairing harm to make things right with the person they have harmed. Additionally, the community of people who surround the victim, who many times have also been harmed by the offender, have an essential role to play in restorative justice so their needs are also met. Take a look at why Restorative Justice is so important as we seek to change unjust systems for the better. 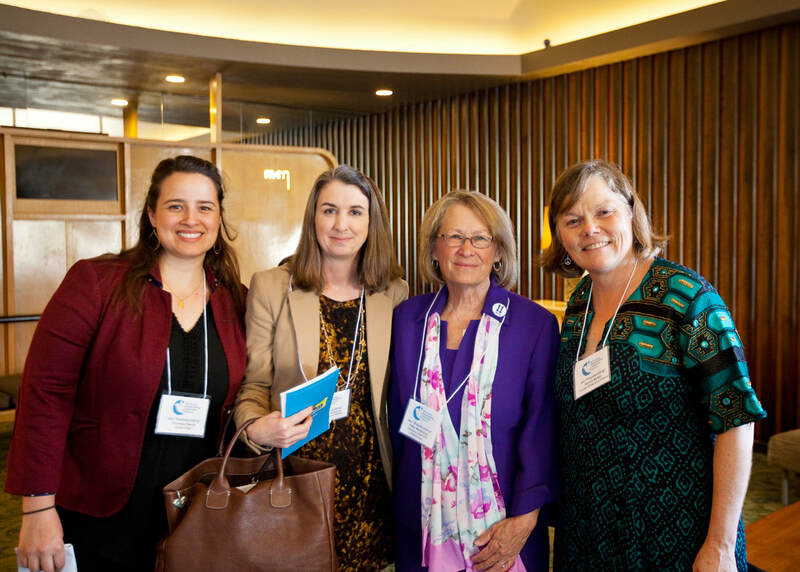 ​Many communities from across Minnesota are working to embed restorative justice philosophy, principles, and practices into their criminal legal system. And RJ is playing an increasingly major role in our Minnesota schools and neighborhoods to address harm and crimes experienced by students, teachers, and neighbors. Because of the strong RJ energy across the state, on August 9-11 the International Conference on Restorative Practices (ICRP) will be held in Saint Paul at Metropolitan State University. Check out the details at the ICRP link at the end of this newsletter.At ICRP, Crixell Shell and Donna Minter will be presenting about the STAR Training and our monthly Coming to the Table racial healing talking circles at the conference. Please stop by the Minnesota Peacebuilding Leadership Institute’s information table to say hi to Claire, our Communications Coordinator, pick up some Peacebuilding swag, and register to win discounted tuition to upcoming trainings. Together we are making Minnesota the peacebuilding power state for all! ​Traumatized individuals and communities are more easily controlled by leaders who do not have their best interests in mind. Healed, peacebuilding individuals and communities are better equipped to engage with active healthy nonviolent power. This is why we must come together as communities to authentically engage, care for one another, and build grassroots power. Joining together provides us with the safety and security to practice brain and body self-regulation strategies for healing that allows us to take leadership in our own lives. In the face of uncertainty and vulnerability, resilient healthy power is sustained, grows, and spreads to those around us. This allows us to make powerful nonviolent choices to be agents of constructive change within our own spheres of influence. When we face and stand up to inauthentic leaders we strengthen and build just peace within our lives. Together, we are transforming our communities peace by peace. 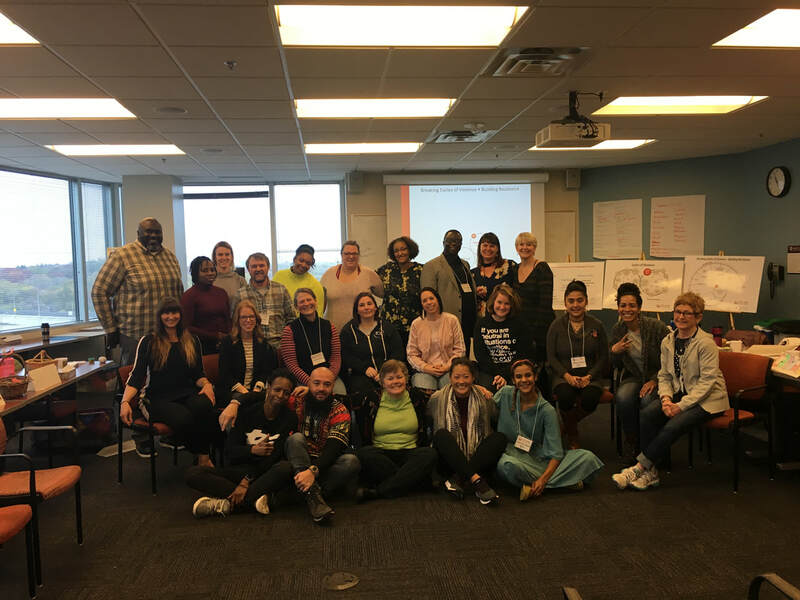 ​May 2018 marked a milestone for Peacebuilding: we completed our first contract STAR Training in collaboration with the Restorative Justice Unit at the Minnesota Department of Corrections. It was an inspiring week filled with thought-provoking questions and reflections on how we can work together to create change within our systems through grassroots leadership, spearheaded by folks with the wisdom, knowledge, and determination to make meaningful change happen. Our institutions often loom over us, faceless, and it’s easy to forget that there are individuals within them who understand the importance of truth, mercy, justice, and peace. Our week at STAR with this wonderful group from the Department of Corrections was a concrete reminder that change comes from the bottom up, from the individuals who want it, and who work together to make it a reality. understanding of the long-term positive impact of cultivating resilience and wellbeing (in self, family, organization or community). They will be more likely to facilitate nonviolent change, model healthier uses of power/leadership, and incorporate the complex experiences of incarcerated men and women to deepen their resilience and increase support for a successful transition from prison to community. DOC staff respond to wounds of conflict, violence and trauma on a daily basis in their work with incarcerated men and women, crime victims and concerned members of the public. The pre/post data analysis and program evaluations clearly demonstrated that STAR provided DOC staff with an inclusive, transformational platform to not only address individual and community trauma healing needs, but to also teach resilience strategies that set the stage for authentic individual and community engagement, healing and reconciliation. Congratulations to all of our STAR DOC Graduates! We look forward to sharing STAR with more DOC staff and other state agencies in the future. Gender equity has been on the forefront of the push for social change in the last year, thanks in part to the #MeToo and #TimesUp movements that sprung out of the film industry. Though the film industry has been dominated by men abusing their power since its beginnings, these forces of oppression are beginning to weaken, thanks to those who have boldly come forward to tell their truth and demand change. While these movements demanding equity in film are gaining momentum, we’re taking a moment to appreciate one film production company that’s been advocating for women in film since 2005. Chicken and Egg Pictures supports women making non-fiction films to create social change. Through grants and creative mentorship, Chicken and Egg pictures helps women around the world produce, direct, and act in films as a means of disrupting the status quo in an industry that’s been defined by the male gaze. With their mission of supporting women to realize their artistic goals, build sustainable careers, and achieve parity in all areas of the film industry, Chicken and Egg Pictures is a worthy cause that receives part of the proceeds from LUNAFEST. For the fifth year in a row, the Minnesota Peacebuilding Leadership Institute is sponsoring LUNAFEST: Minneapolis. On Wednesday April 25, 2018, 6:00 – 9:00 p.m. at the Riverview Theater, we’ll screen nine internationally curated short films by, for, about women. Since 2000, LUNAFEST has showcased the work of talented women directors from all over the world. This year’s lineup of films include a film about a 10 year-old girl training to become a professional boxer, a film tribute to the highest-paid silent film director at Universal Studios in 1916 who happens to be a woman, and a film about a Pakistani woman who graduated from MIT and now works in Silicon Valley as a game designer and provides summer camps for middle school girls to learn how to design video games. In a historic moment where we’re reckoning with the film industry’s history of discrimination, it’s more important than ever that films – like those shown at LUNAFEST – that highlight the stories of women and people of color are made and shown widely. Thanks to #MeToo and #TimesUp, there’s a push for equity in film that echoes our need for equity in all aspects of our lives. As a nonprofit organization committed to equity, these films are an important part of achieving our vision to Make Minnesota the Peacebuilding Power State For All. The funds raised from LUNAFEST: Minneapolis go toward Peacebuilding’s programs and scholarships that help make our trainings accessible to all by offsetting the cost of tuition. We hope you join us for LUNAFEST on Wednesday April 25 for an evening of fun, inspiring, and thought-provoking Peacebuilding in our community. For the fifth year in a row, the Minnesota Peacebuilding Leadership Institute is sponsoring LUNAFEST: Minneapolis. On Wednesday April 25, 2018 at the Riverview Theater, we’ll screen nine internationally curated short films by, for, about women. Since 2000, LUNAFEST has showcased the work of talented women directors from all over the world. This year’s lineup of films include a film about a 10 year-old girl training to become a professional boxer, a film tribute to the highest-paid silent film director at Universal Studios in 1916, and a film about a Pakistani woman who helps middle school girls in Silicon Valley learn to design video games. In a historic moment where we’re reckoning with the film industry’s history of discrimination, it’s more important than ever that films like these that hold up the stories of women and people of color are made and shown widely. Thanks to #MeToo and #TimesUp, there’s a push for equity in film that echoes our need for equity in all aspects of our lives. As a nonprofit organization committed to equity, these films are an important part of achieving our vision to Make Minnesota the Peacebuilding Power State For All. The funds raised from LUNAFEST: Minneapolis go toward Peacebuilding’s scholarships that help make our trainings accessible to all by offsetting the cost of tuition. We hope you join us for an evening of Peacebuilding in our community.